West Virginia's youth obesity rates have soared over the years, and a new report found that more than 35 percent of teens here are overweight or obese. 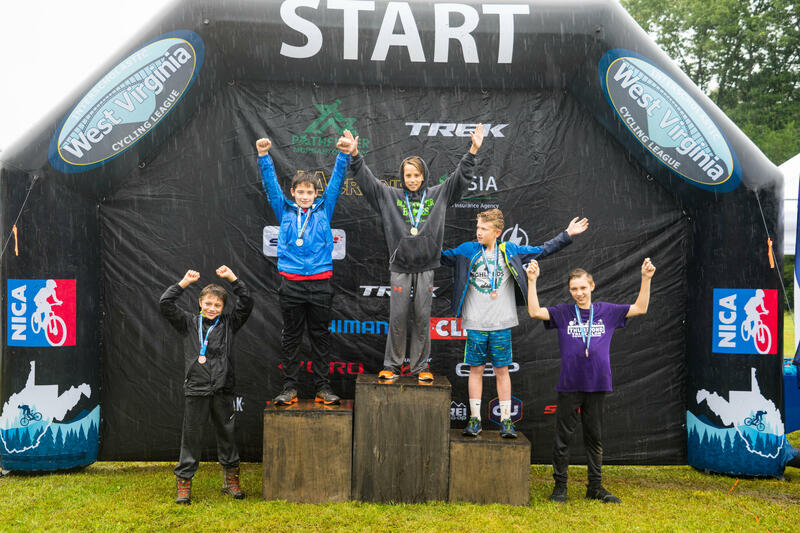 A new statewide youth development organization is trying to address the problem, and teach resilience, by encouraging kids to enjoy their native hills -- on a mountain bike. 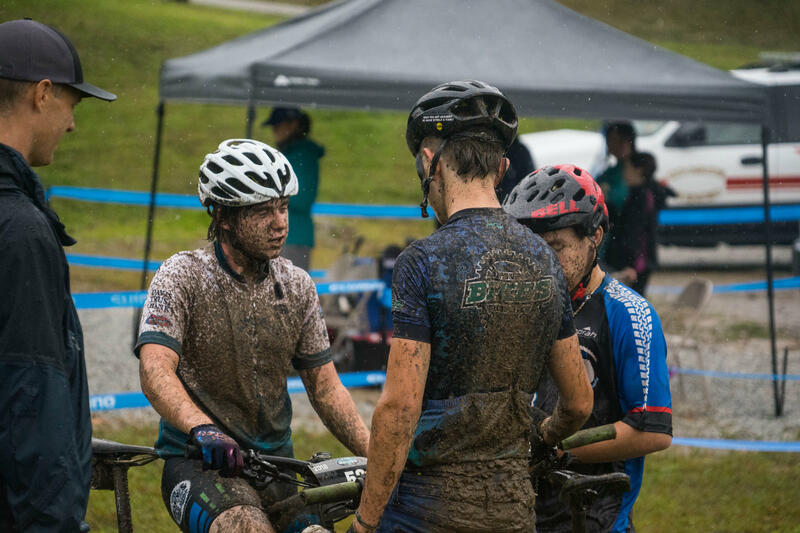 Earlier this year, West Virginia established a state chapter (the 22nd nationwide) of the National Interscholastic Cycling Association league, which was first started in California in 2001. 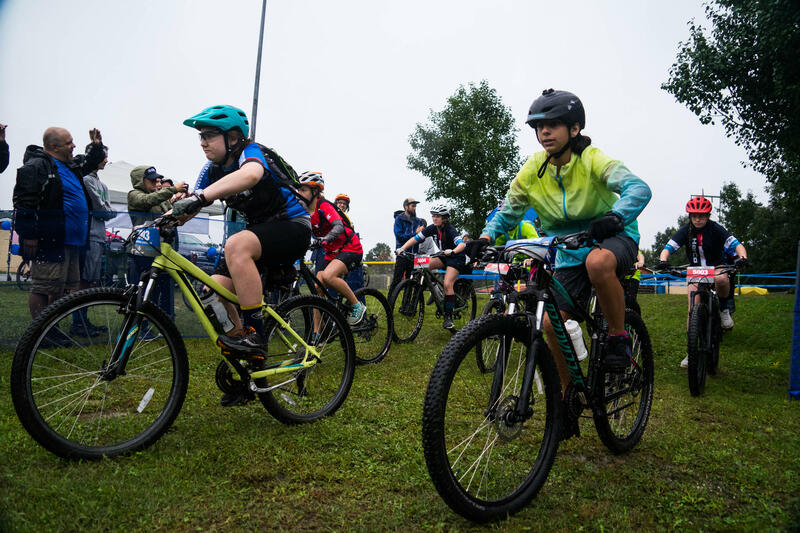 The idea is to “enable every West Virginia teen to strengthen body, mind and character in the most equal and inclusive way through the life-long sport of cycling,” said Cassie Smith, league director and the force behind bringing the league to this state. “NICA is about inclusivity. Everyone rides, no one tries out, and no one is benched. This is a program where you can race, or you can just join it for an adventure,” she said. The need for this bike initiative was highlighted by the release today [10/24/18] of the annual Robert Wood Johnson Foundation report, which found that more than 35 percent of children ages 10 to 17 are overweight or obese in West Virginia. So far NICA in West Virginia consists of nine active teams spread from southern West Virginia to the panhandles, with 128 registered riders and 98 coaches. This fall the teams have practiced together a couple times a week and participated in three races, where kids raced as both individuals and teams. Smith’s son, 15-year-old Levi, has been racing since he could first balance on a bike. He’s is one of the older kids in this year’s league. “It’s fun and a lot of adrenaline,” he said. But it also helps him to stay in shape, and may help him to be healthier as an adult. “To the extent that we can get more kids and their families out walking and biking and doing activities that are fun and expending calories, that certainly matters when we think about what it takes to ensure that all kids can be at a healthy weight,” said Jamie Bussel, senior program officer for the Robert Wood Johnson Foundation. West Virginia has the second-highest rate of childhood and adult obesity in the nation. Experts say obesity is basically the result of too many calories and too little exercise. And numerous studies have shown that the habits established early – as early as kindergarten – can yield dividends for a person’s entire life. At a recent practice in Morgantown, kids were playing a game in which they rode in circles and practiced balancing. When they lost their balance, they were “out” until the next round. “This is a great activity because the other kids get to see what it’s like to have this level of agility on the bike and then they get to do that do,” said coach Jessica Harmening. The team practices motivate them to keep riding, she added, and to try things they might not ordinarily tackle within a safe place to fail and succeed. As great as mountain biking is for physical fitness, the bikes themselves can be expensive. A quick Google search shows options ranging from around $100 up to $10,000. And, in West Virginia, even $100 for a bike can be too much for some families. Fortunately, said Smith, friends in the cycling community have stepped up and donated bikes for the couple of kids who didn’t have one this fall. She said there are scholarships available for kids who need them, but that no one has used them yet, though this may change as the league grows. She anticipates the league will be double in size by next year. The University of Texas Anderson Children’s Cancer Hospital released a study this month showing that diet and exercise may improve the effectiveness of chemotherapy. Healthy eating is already encouraged during treatment but diet plans are uncommon. When it comes to physical activity, the study says, doctors are cautious when suggesting an exercise routine. What happens to a community as coal jobs go away? Here are some things you might expect: many people leave, schools empty, local businesses struggle to keep their lights on. But here’s something that may not come to mind: extra curricular sports go away. That’s what happened to children in McDowell County over 25 years ago. They lost their local soccer league. And while the thousands of lost coal jobs may not come back, thanks to a 4-H project, and about a dozen volunteers, soccer is making a comeback in McDowell County. Obesity rates among West Virginia children in low-income families have increased by 2 percent from 2010 to 2014. West Virginia's obesity rate among young children from low-income families increased from 14.4 percent in 2010 to 16.4 percent in 2014, according to the national Robert Wood Johnson Foundation.